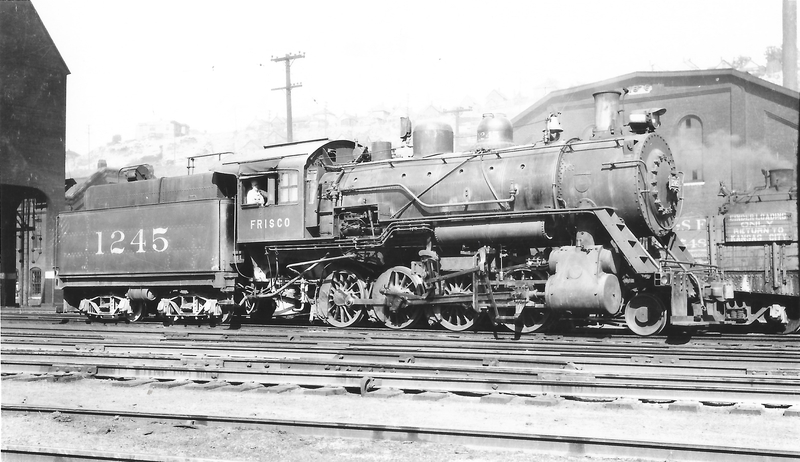 2-8-0 1245 at Kansas City, Missouri on July 4, 1936 (Arthur B. Johnson). 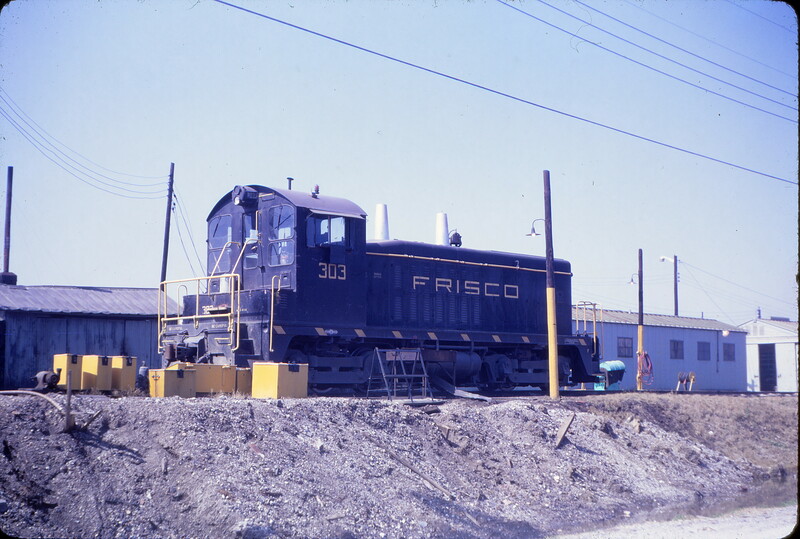 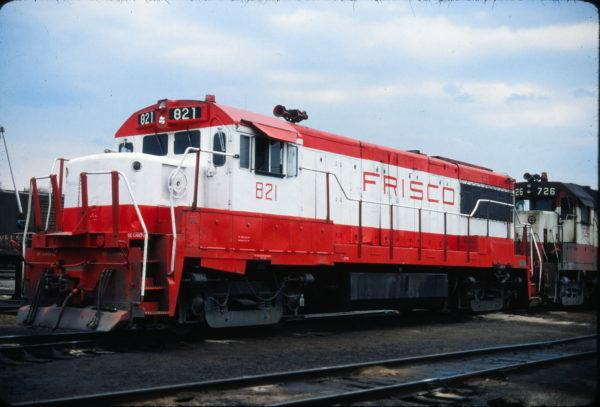 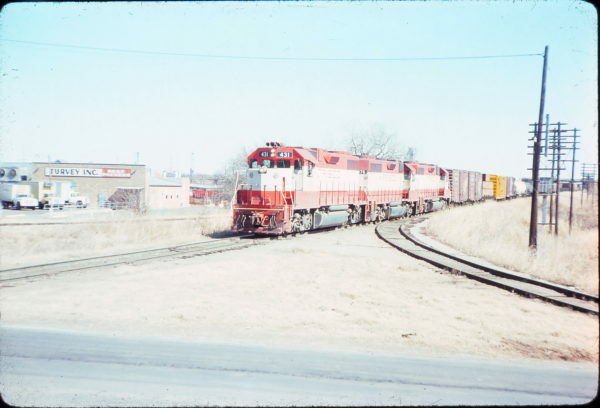 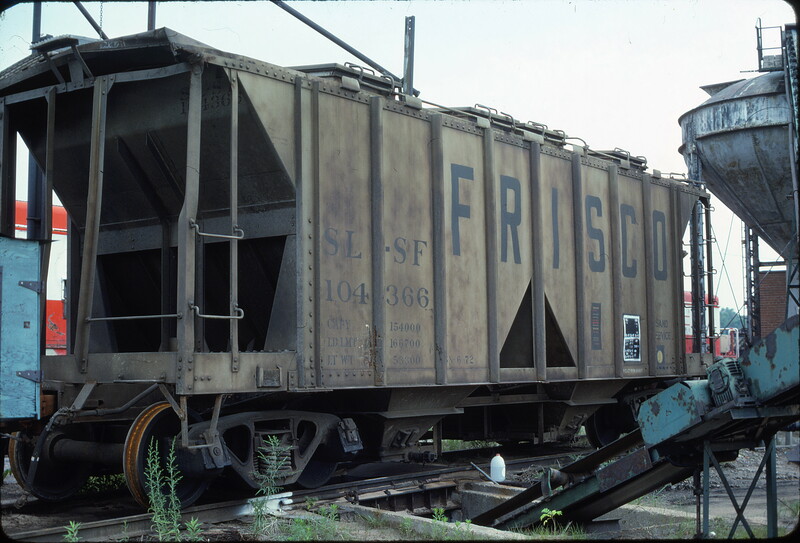 GP38-2 431 at Oklahoma City, Oklahoma in September 1976. 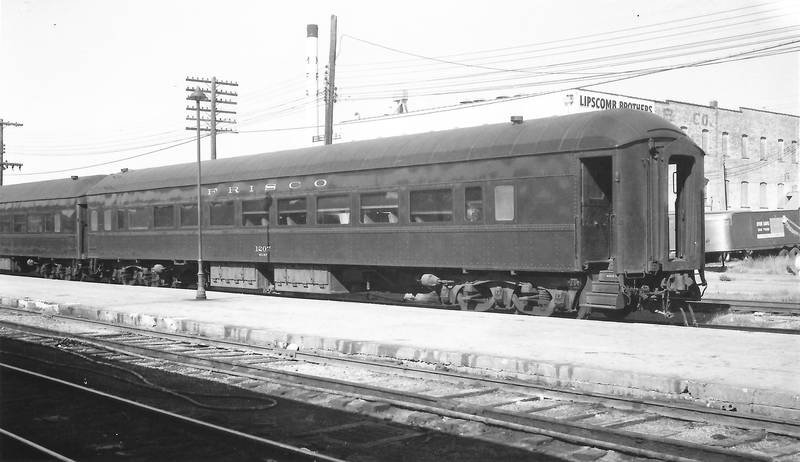 Chair Car 1207 at Springfield, Missouri on October 24, 1965 (Arthur B. Johnson). 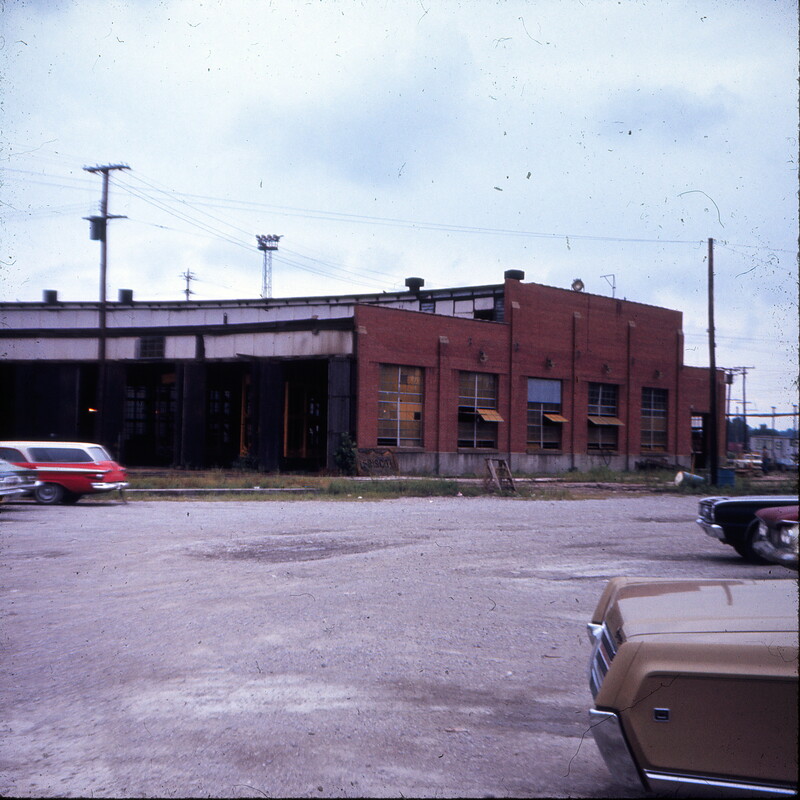 Lindenwood Yard Roundhouse, St. Louis, Missouri in August 1970 (Ken McElreath). 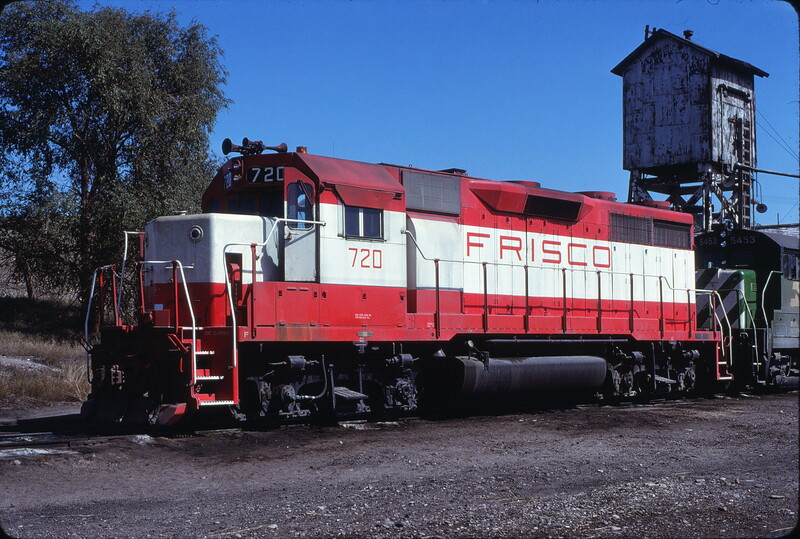 GP35 720 at Guernsey, Wyoming on September 24, 1979 (Ryan Ballard). Oklahoma City Union Station in September 1989 (Ken McElreath). 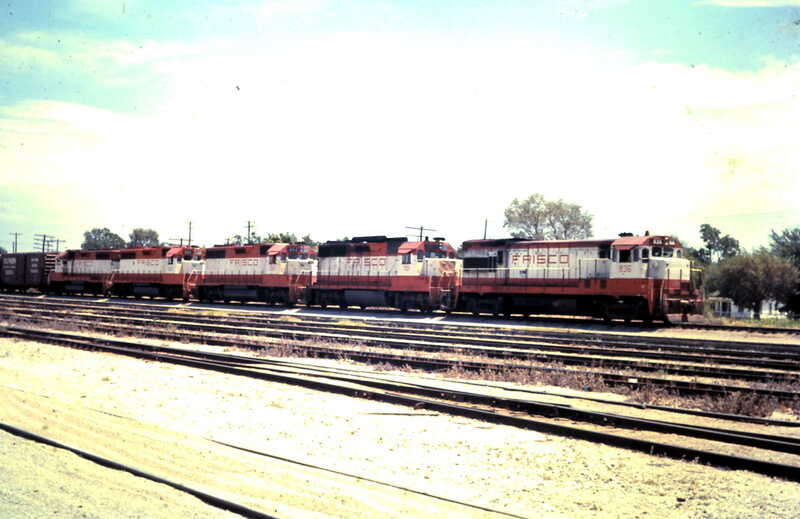 Hopper 104366 at St. Louis, Missouri in June 1981 (Ken McElreath).